It’s important to know the software development planning process that’s typically attached to app development. Click here to learn everything you need to know. Looking for software development services? Getting ready to start a new project? 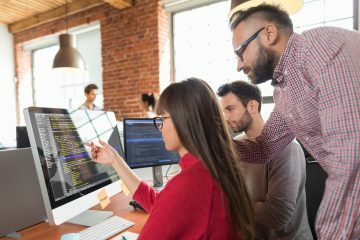 If you’re getting ready to undergo the software development process or you’re outsourcing software development, it’s crucial to start with a solid plan. Below are the key things you should expect from the software development planning process. To begin the planning process, you need to discuss goals and requirements with your team. You also need to know how you will measure your success over time. It’s important to perform thorough research, communicate with your team, and craft a plan for what you want to achieve with your app. Expectations need to be discussed at length. Documentation should outline the details of the project and what will be required by all parties involved. If you create clear goals and requirements during the beginning of the software development process, the rest of the process for your project will go much smoother. After you’ve done all of the initial planning of the project requirements, it is time to move on to the more technical elements of the design process. What kind of technology will you use? What platforms will you be using for the app? You should bring developers into the process early. Development staff such as architects and lead developers will help plan the technical design requirements and lay out the entire architecture of the program. During this stage, developers will also look for potential vulnerabilities and threats in the design, making sure that the architecture will be as secure as possible before development begins. It’s important to work with a user focus group and have a plan for testing your app once development is complete. It is crucial to test things out with real users and to start early. During the testing stage, you will be able to look for any errors and bugs that occur. End users will usually test the app and you will discover if the team has met the requirements successfully. After the testing stage, it may be time to return to the development stage to fix errors. 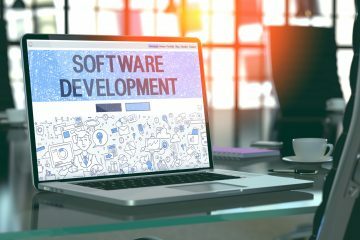 After all of the other stages of the software development process is complete, the software will need to be properly maintained. With most software and apps, it will be necessary to add additional functionality to the software as needs and expectations change and fix errors. You should have a plan for maintaining the software. 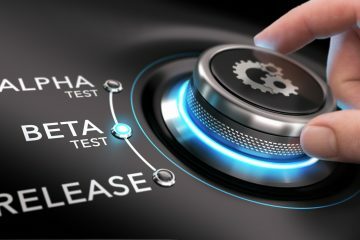 You should also plan for future releases and know how often you will release updates. Like with many types of technology, development is a continuous process and the software will need to be reassessed from time to time. Make sure you have a plan for supporting your app over time. The software development planning process is crucial for the design of a quality app. Having a thorough plan will allow the app development to stay on track and help to ensure all deadlines are met on time. You may be surprised at how much thorough planning can help the rest of the development process. Looking for help with the software development planning process? Contact us today to find out more about what Ionixx Technologies can do for you.